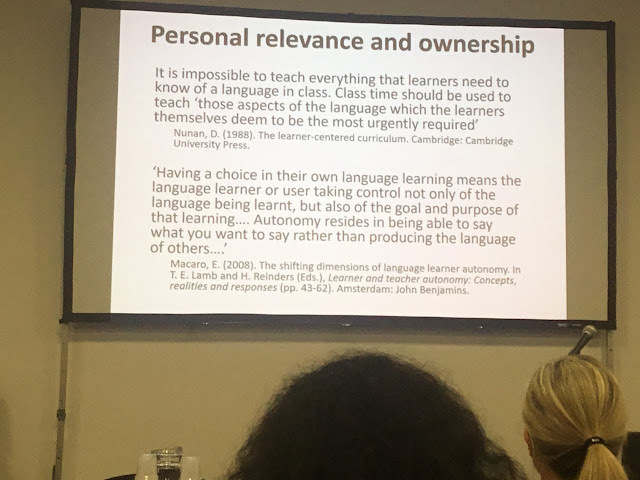 Phil Benson: What does pedagogy for autonomy mean beyond the classroom? 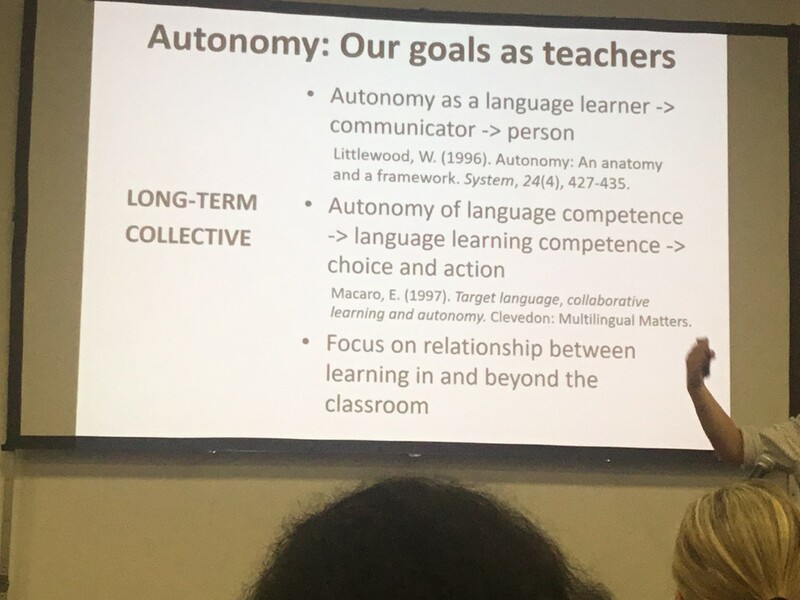 Benson, P. Teaching and Researching Learner Autonomy (2nd Edition) (2011). 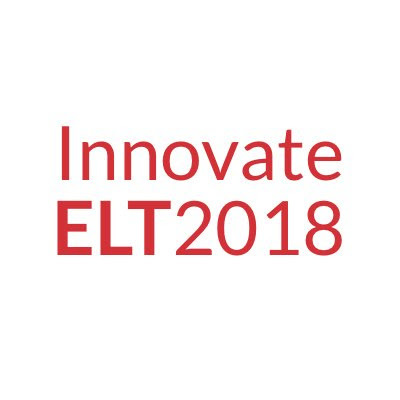 Applied Linguistics in Action (Eds. Candlin, C. & Hall, D.). Routledge, London & New York. Benson, P. & Reinders, H. (Eds.) (2011). 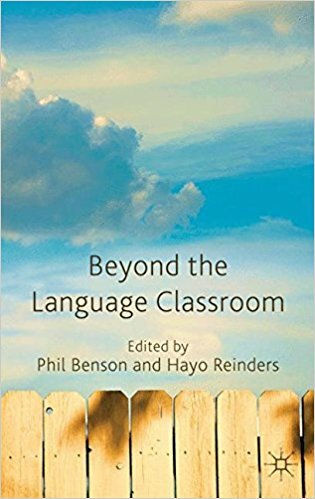 Beyond the Language Classroom. Palgrave Macmillan. 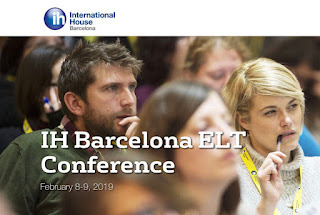 Somewhat contradictorily, becoming an autonomous language learner is becoming both easier and more complex in the 21st century. Urban environments and internet access provide an abundance of information but also abundant distraction. - Teachers should focus on classroom processes, learning management and learning skills. 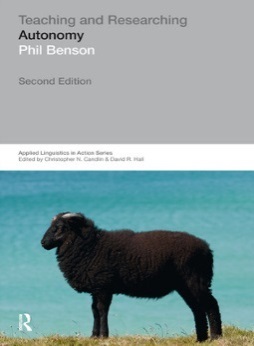 Phil expressed some dissatisfaction with the proliferation of the word ‘context’ in Applied Linguistics, as it is overused to the point of becoming meaningless. He prefers to describe the environment or setting. He also introduced the construct of space. According to this conceptualisation, a setting is a space where language is encountered and (potentially) learned. 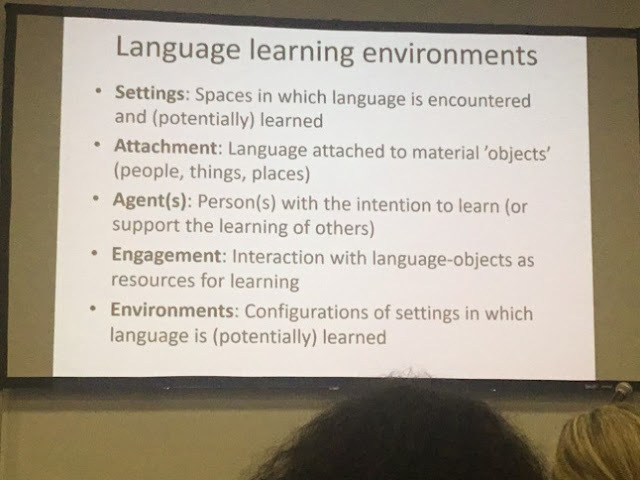 Within these spaces, the learner will find attachments: Language is ‘attached’ to material objects, events, situations or people. The construct of engagement is defined as the interactions between agents (learners) and these language objects and their attachments. The slide below summarises definitions of some the constructs described in this talk. 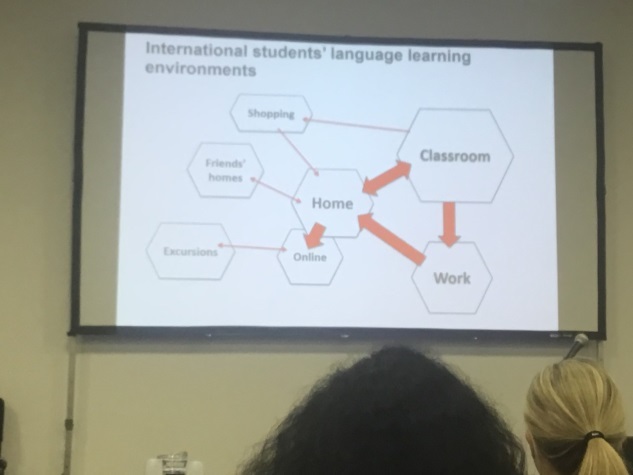 In a study of part-time ESL students in Sydney, learners used the online app ‘Diaro’ to register where they are and what they are doing every hour, which produces a map of their linguistic environment. Analysis of the data reveals a ‘triangle’ Home-Class-Part-Time Job. Most students in this study had a part-time job related to their nationality, ie, Chinese students worked in Chinese restaurants. 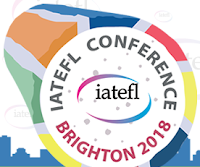 When teachers tell students to go out and meet more Native Speakers (NSs), the learners can legitimately think ‘when?’ This may reveal one commonly-held misconception among language teachers: language learning outside the classroom is essentially interacting with NSs, while in fact, there are so many more opportunities available to learn. Attachments can take many forms. By emphasising interaction with NSs, we are downplaying the importance of other language attachments. 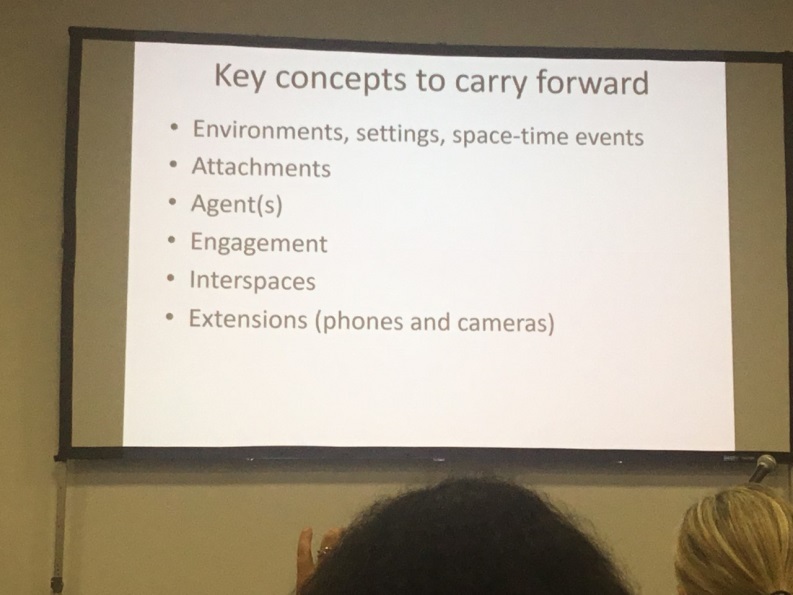 These attachments often occur in the ‘interspace’ (see slide below). The interspace is represented by the arrows on the above graphic: the journeys to and from work and class, the down time between classes. Learners travelling by bike may have mininal language encounters, but those travelling by train will be surrounded by language. The question is do they notice it or do they put in their earphones and switch off the linguistic environment? The advent and dominance of mobile phones, and their attached cameras, has produced an interesting quandary in the definitions of this area of LA. When you are checking the online reviews on your phone outside the restaurant, is the mobile phone a part of the linguistic environment or an agent? Benson suggests considering the mobile as an extension of the learner. 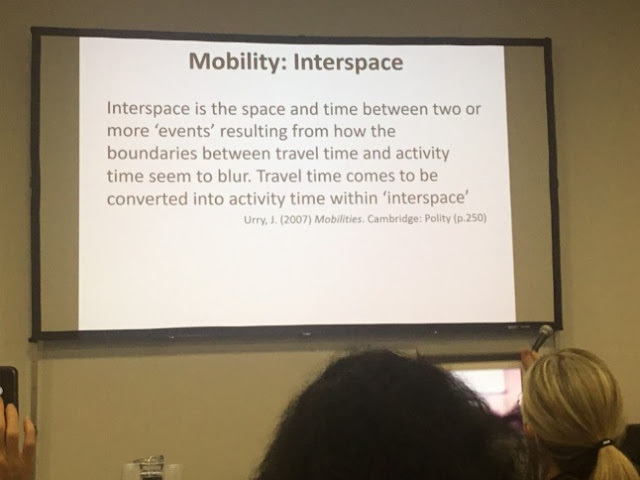 Mobile phone use tends to take place in interspace. The restaurant reviews become a linguistic attachment, which are attached to the restaurant. As much as teachers might encourage them, learners are not able to change their environment much. They are ‘locked in’ to certain routines. What they can do, however, is change their engagement with their environments. 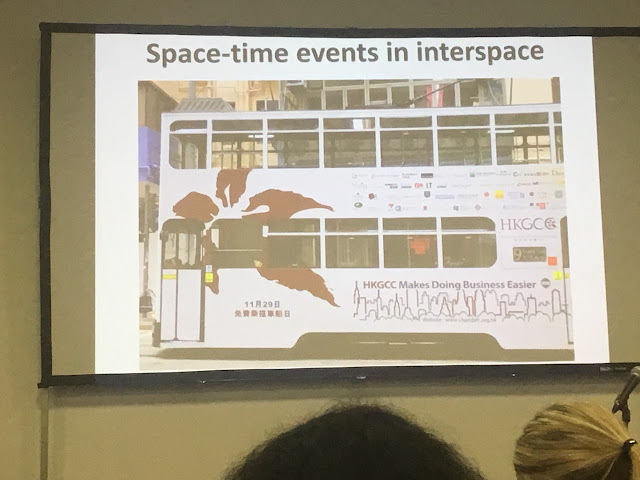 The photo below was taken in Hong Kong, generally considered to be a fairly monolingual context. The phtase ‘makes doing business easier’, once analysed, can reveal some complex language structures. As teachers, we hope to encourage learners to ‘unpack’ this space-time event rather than ignore it. 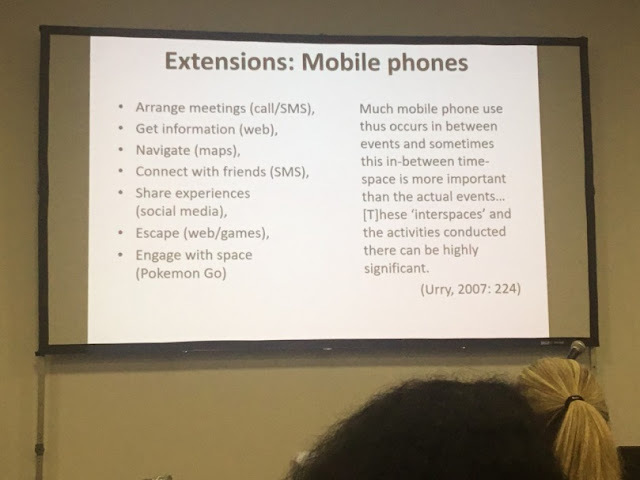 Benson suggested the following important ‘takeaways’ from the plenary. Littlewood, W. (1996). Autonomy: An anatomy and a framework, System, 24(4), 427-435. 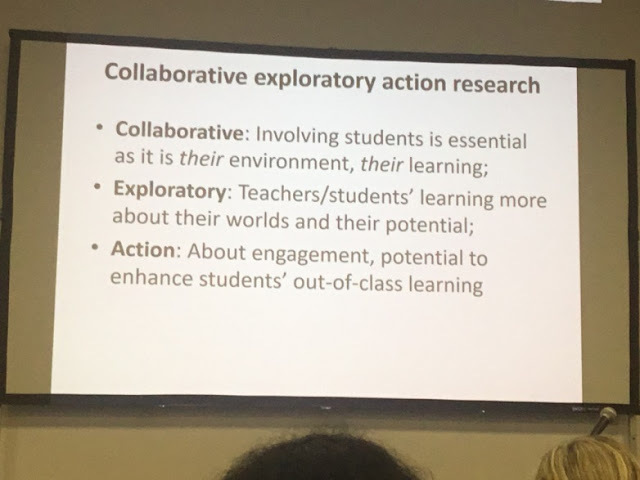 Macaro, E. (1997).Target language, collaborative learning and autonomy.Clevedon. Multilingual Matters. Macaro, E. (2008). The shifting dimensions of language learner autonomy. In T. E. Lamb & H. Reinders (Eds.) Learner and teacher autonomy: Concepts, realities and responses. Amsterdam, Bohn Benjamins. Nuna, D. (1988). 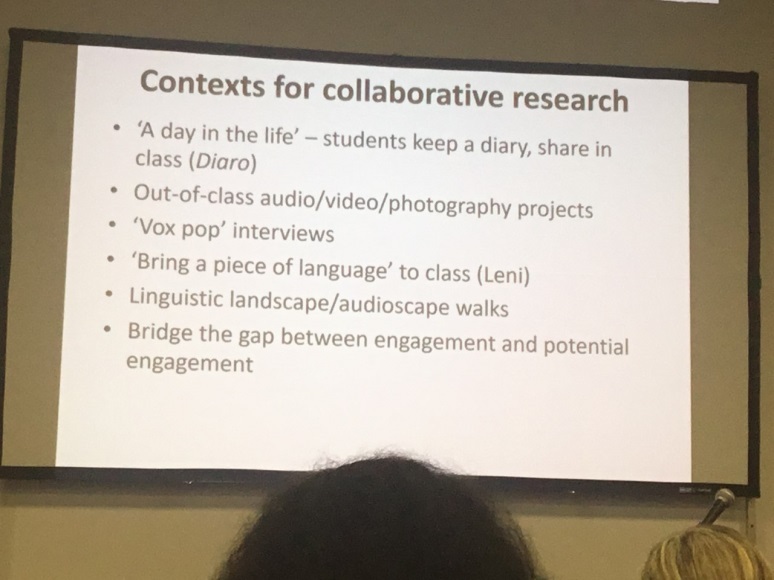 The learner-centred currículum.Cambridge. CUP. Urry, J, (2007). Mobilities, Cambridge, Polity Press.